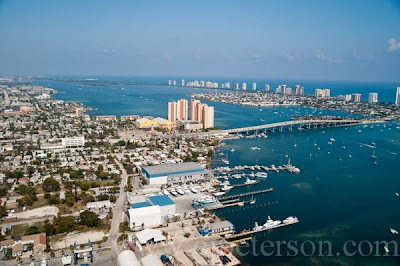 This is an aerial photo of Singer Island, The Blue Heron bridge, Riviera Beach and the Intracoastal waterway. Time lapse Video of the day! Bull shark attacks go pro HD camera!